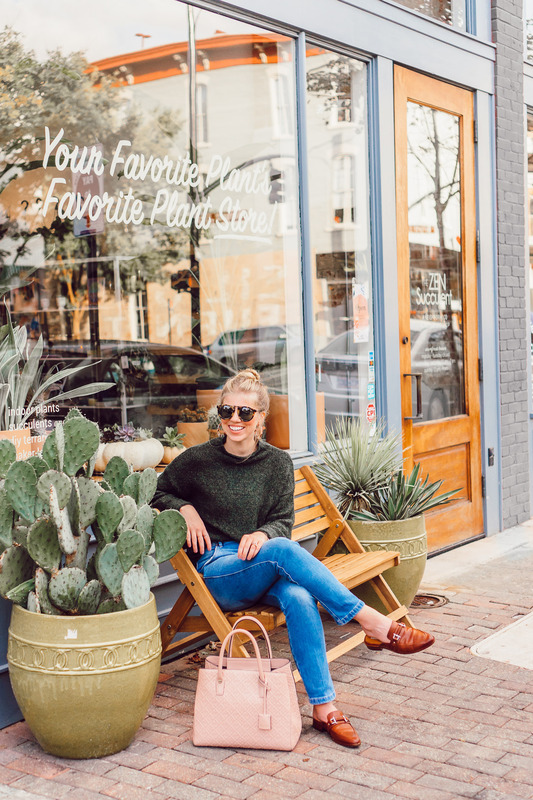 I have been sharing a lot from our Raleigh trip via Instagram (us all packed up, the coolest cafe/restaurant + flower shop, and a couple more) and I’m so excited to finally be spilling all the details today! 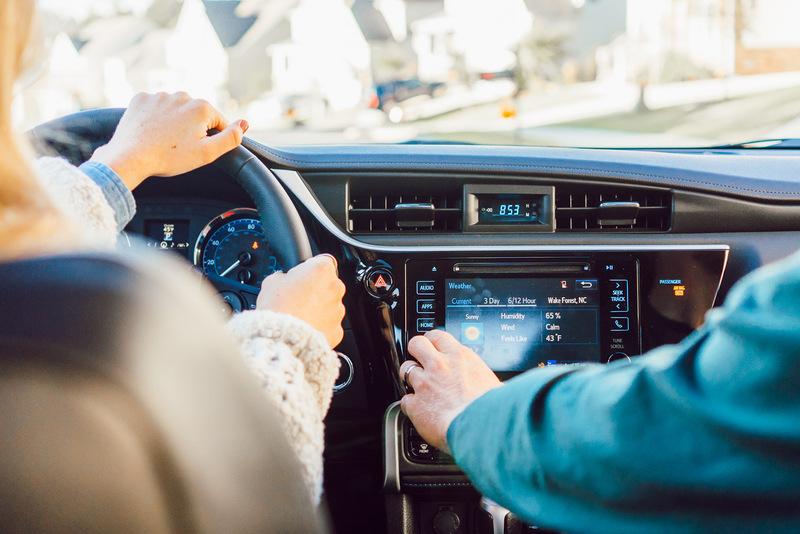 Joshua and I had the opportunity to drive a 2019 Toyota Corolla, which was the icing on the cake for our little road trip to Raleigh, NC. A little back story, before I dive in, Joshua and I have both lived near Raleigh and been there several times. However, neither of us had ever really explored the state capital. Minus dining at a few restaurants and visiting a museum for a school trip. 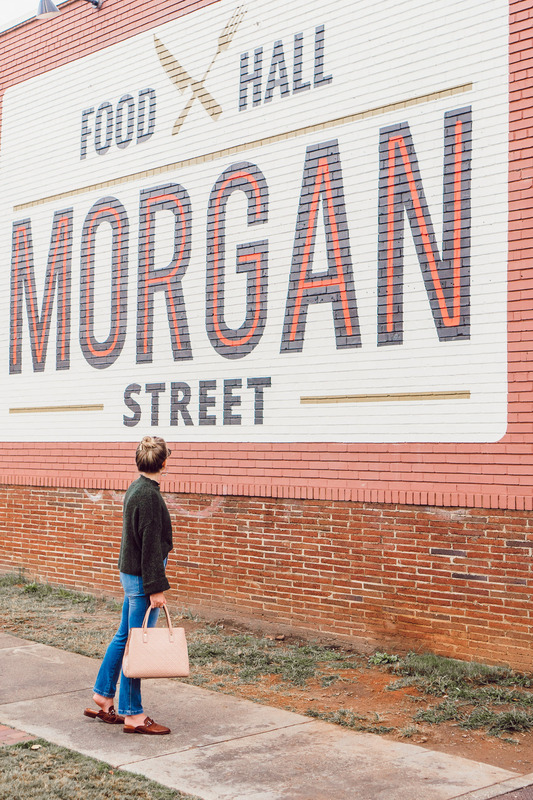 Prior to our trip, we had said for years we were going to spend some time taking in downtown Raleigh and all it had to offer. And thanks to our Local Toyota Dealer we finally made it happen! 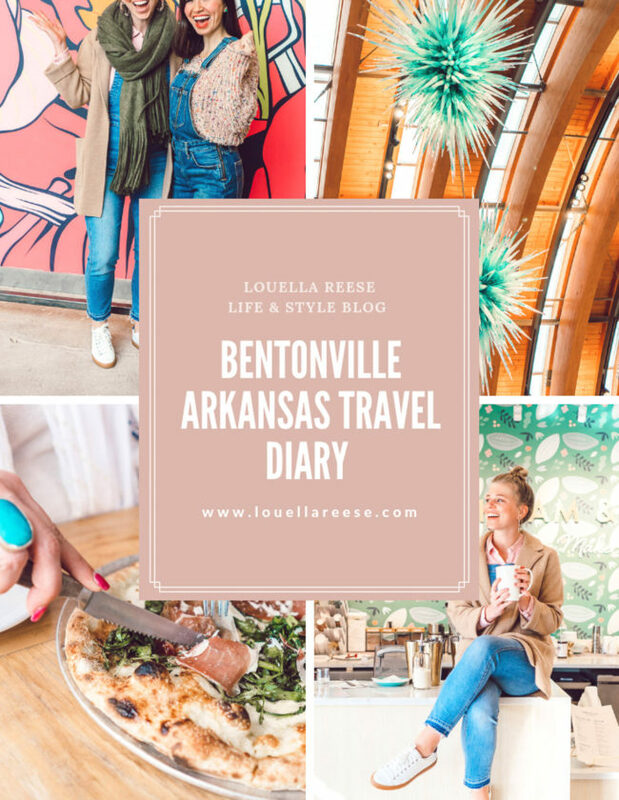 Joshua and I love to use road trips to reconnect and soak in all of the quality time they offer! 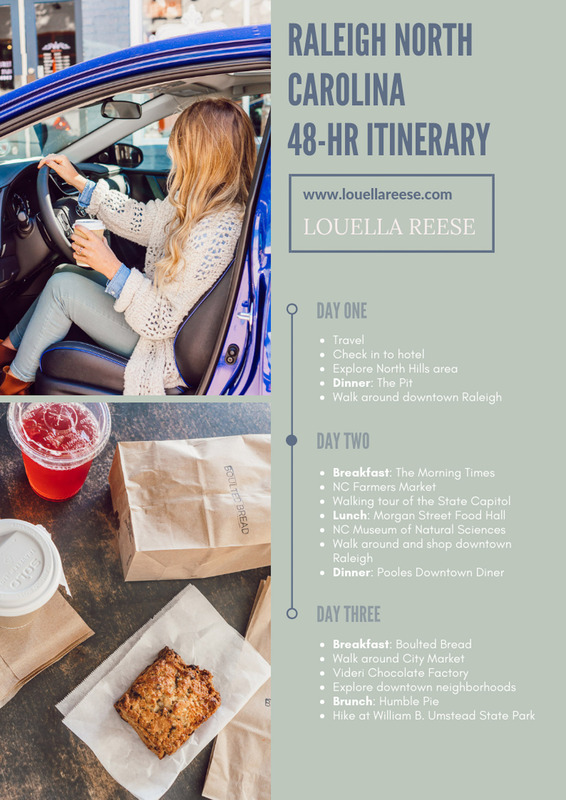 So along with spilling the details on our trip with a 48 hour Raleigh NC itinerary, we’re also sharing five ways to reconnect on a road trip! Road trips offer a lot of quality time. By that I mean, all of those hours you spend in the car driving to your destination and driving home. Be present for this time. Don’t spend it on your phone scrolling Instagram (I am 100% guilty of this at times) or on your laptop working. I know, I know, you have a lot to get done. However, this time is important and has the ability to be completely uninterrupted quality time. So put down the phone, forget about work for a bit, and use this time to TALK with your significant other. Find out how they’re doing, how you are doing as a couple, and what you’re most excited about when you arrive at your destination. Trips are the perfect time to create memories. After all, you’re most likely exploring somewhere completely new together or introducing your significant other to a spot that is special to you. So again, be present and create those memories together. While also being sure to document those memories. 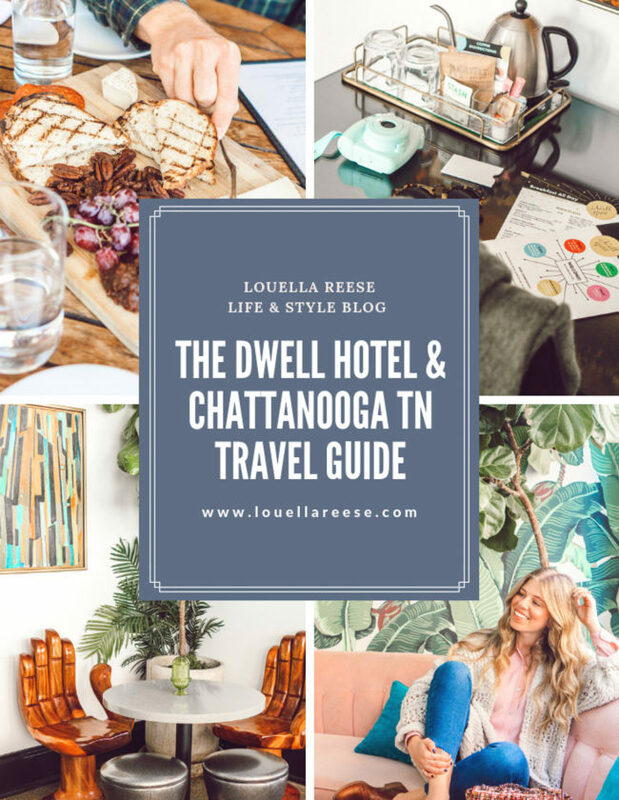 One of the best ways to reconnect is to reminisce about a trip you both loved, where fond memories were created. So by documenting them, you’ll not only be reconnecting on this trip but also on a later date. If you want to skip taking your phone around with you (a good idea so you’re not tempted to check social media or email) opt to bring a digital camera or a polaroid camera. After your trip you could create a DIY Polaroid Display and reflect on the memories made daily. 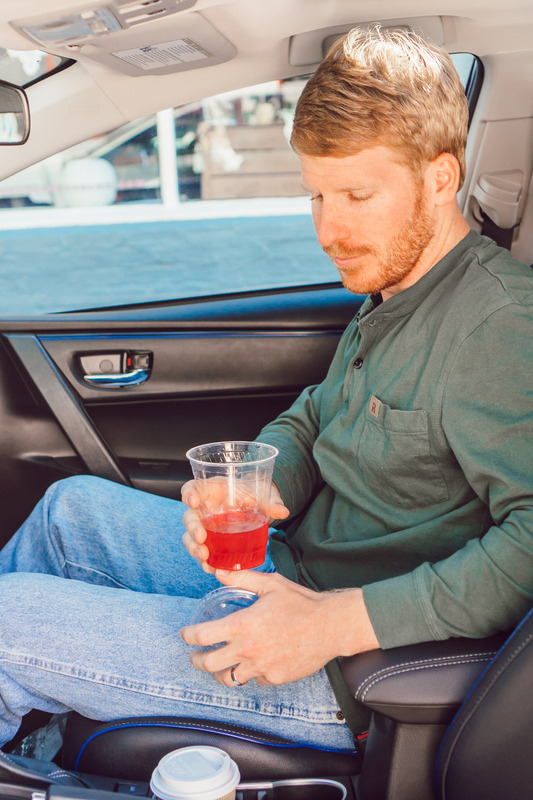 Stop at a scenic spot along the way, bring a picnic to enjoy halfway to your destination at a park or rest area, or look up a road trip game you’ve never played before. All of these are ways you two can do something together and have fun with! Joshua and have played mad-libs which is something I had never done on a road trip before. It was hilarious to hear what we both thought of when it was time to say a verb, adjective, noun, etc. We also learned that I need to study my verbs, adjectives, nouns, etc. haha. 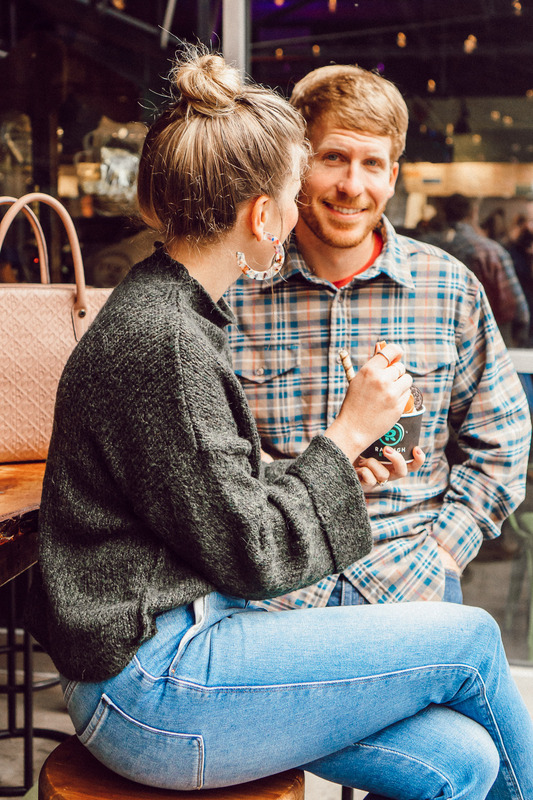 You’re away, you’re reconnecting, and enjoying uninterrupted time together. So plan a date night! You’ll have the opportunity to try something new while spending the evening talking away! I recommend making reservations in advance so you forgo too long of a wait and one of you getting angry! Also, now it the time to live it up, maybe get a little dressed up and make reservations at a snazzy little place! Nothing is better than seeing your significant other all dressed up for you! Joshua dressed up = me melted! If you over plan you two may end up at each other’s throats vs. bonding and reconnecting. Leave time in between planned adventures and meals. Time to wonder around exploring and time to sleep in, snuggle, and again, enjoy this time together! 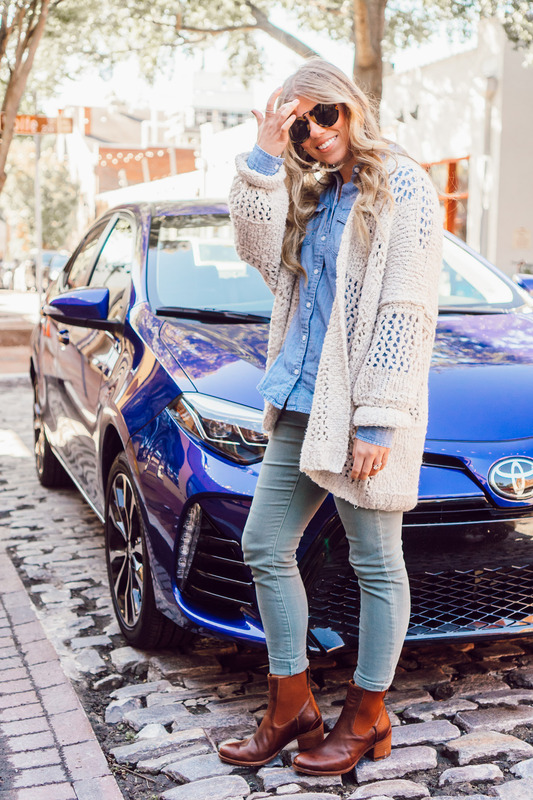 Let’s talk another way we were able to reconnect and keep from road trip frustrations, the 2019 Toyota Corolla. 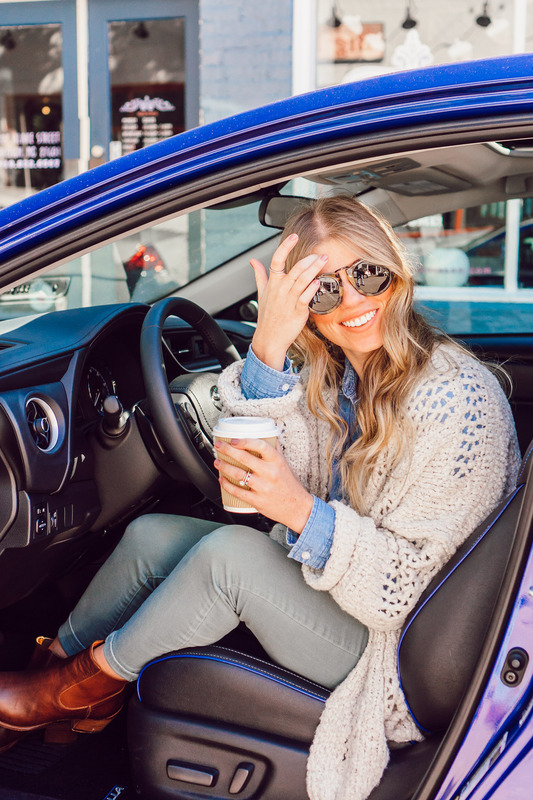 You may be laughing and saying, “Laura, how does a car allow you to reconnect and keep you from road trip frustrations?”. Two words y’all, NAVIGATION SYSTEM. No getting lost, no concern over when to turn, and no having to find where your phone dropped. For someone who worries constantly about being lost or when to turn, this was heaven to me. Especially since phones were to be away to soak in that quality time! I was also blown away by the interior of this vehicle. Two words to describe it luxurious and sophisticated. 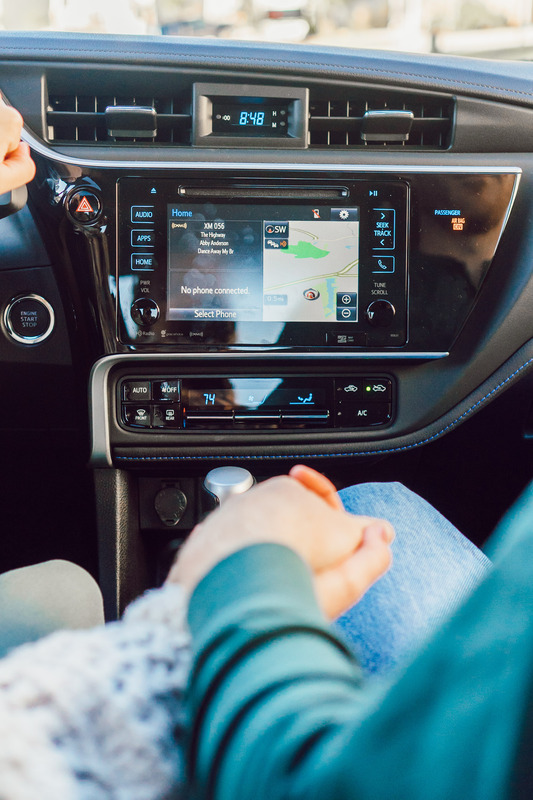 From the elegant and high-tech dashboard with navigation (seriously, loved it), XM Radio (Joshua’s favorite), a high-quality backup camera, and touch screen controls. Everything we wanted and needed was quite literally at our fingertips! The backup camera was an additional feature I personally loved and now desperately want! So helpful with all of the parallel parking required in downtown Raleigh. Seriously #praise backup cameras! Also, I couldn’t have been more excited about the blue hue. This particular shade packs a little fun and excitement without being too much. Not to mention, blue is my favorite color! 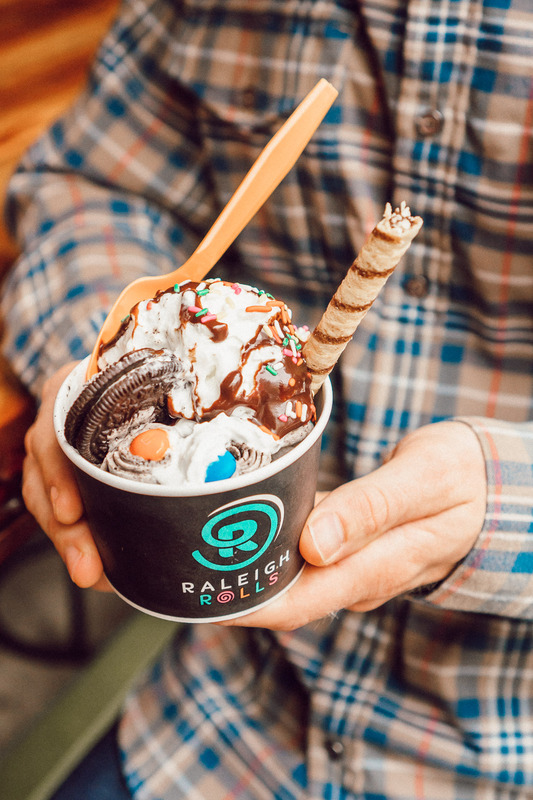 Below you’ll find a full 48 hour Raleigh NC Itinerary. What a coincidence that you posted this today because Cooper and I just roadtripped this weekend and he was urging me soak up that one-on-one time! I will share these with him for our next road trip! Oh that is too funny! Definitely such a great time to do so! Aw thank you Kari! So thrilled you enjoyed it. I have actually never been to Raleigh but now you have me wanting to go! Yay! You absolutely should. Such a fun city to explore! My husband and I love taking the 3 hour road trip to Kansas City and I love how much we laugh and sing and chat along the way! We have a rule that the passenger doesn’t get to sleep (unless hungover haha) so we can truly enjoy the time together! It looks like you guys had a great time and I love the color of this Corolla! Oh my gosh I absolutely love that rule lady! Also love that y’all really utilize that time and enjoy each others company. So sweet! 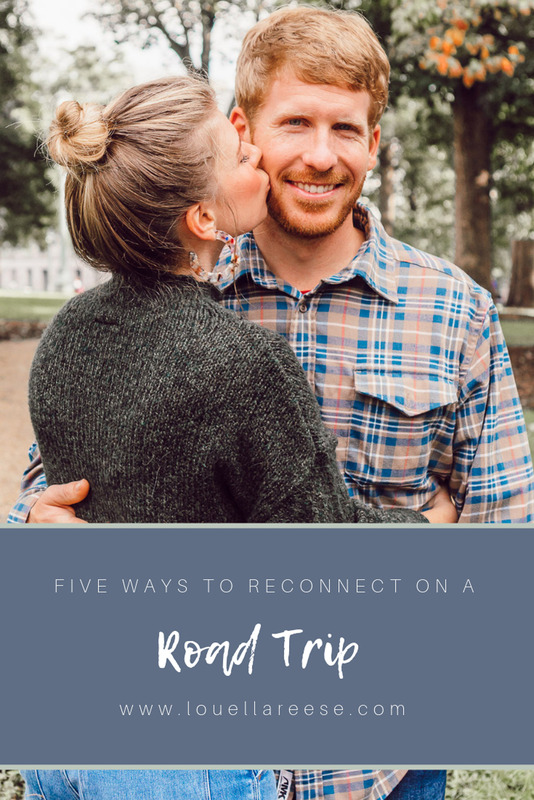 I wish I read this before our last road trip – such great tips! Aw! Well next time you’ll be well prepared. Ah I’m OBSESSED with these photos. So glad you two had a great time! Ah yay! Thank you so much gal! My fiancé and I will actually be taking a roadtrip for our honeymoon, and I’m so excited. I’ve always loved roadtrips and how they allow you to connect with the people you’re traveling with. These tips you shared are fantastic! I love playing mad libs on the road. It’s definitely a favorite game of mine. Laughter is the best! And that car looks incredible! Oh that is so much fun! Y’all are going to have the best time! So glad you enjoyed these tips. Thank you for checking out this post! 100% agree that laughter is the best. Yes girl, it was SO nice – I want it haha. Glad you guys had fun in Raleigh- Morning/Raleigh Times was my jam when I was in PA school! Thank you! It is such a fun place!